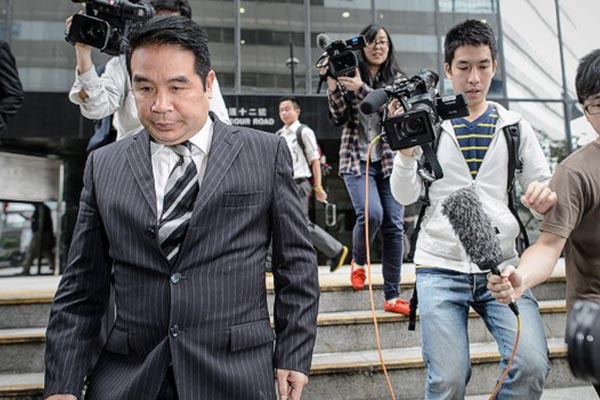 Hong Kong (CNN) — Carson Yeung Ka-sing, a Hong Kong tycoon and owner of British soccer club Birmingham City, was jailed for six years Friday for laundering HK$721 million (US$93 million). The 54-year-old businessman was convicted by a court in his home city earlier this week. “The sentence must include an element of deterrence to discourage those who are in a position to exploit the system,” said Judge Douglas Yau. Yeung previously denied the charges that he had laundered money between 2001 and 2007 during a 50-day trial that he had twice tried to halt, according to local Hong Kong media. His father, Yeung Chung, a co-accused, died in 2012. Yeung, little known prior to his emergence in English football, took control of the club in October 2009 in an 81-million pound ($130 million) takeover. At the time, he was only the second Asian, after deposed former Thai prime minister Thaksin Shinawatra, to own a British premier league club. In February, Yeung resigned as chairman and executive director of Birmingham International Holdings Limited (BIHL), which owns the struggling second-tier club. Throughout the trial, Yeung said he accumulated hundreds of millions of dollars through stock trading, business ventures in mainland China, gambling and even hairdressing. He claimed he made HK$20 million as a hairdresser, catering to movie stars and businessmen from a chain of upmarket salons, one of them in Hong Kong’s five-star Peninsula Hotel. The prosecution will apply net month to confiscate some of Yeung’s assets.